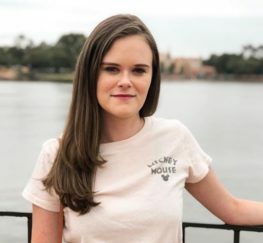 After publishing this post on online jobs for college students, I’ve been bombarded with emails and questions about other ways to make ends meet in college! I think it’s so cool that college students and recent grads nowadays are looking for unique ways to make money and build their career experience! While working online is definitely cool, I get that not everyone is tech savvy, and there is a certain appeal to a hands-on side hustle. 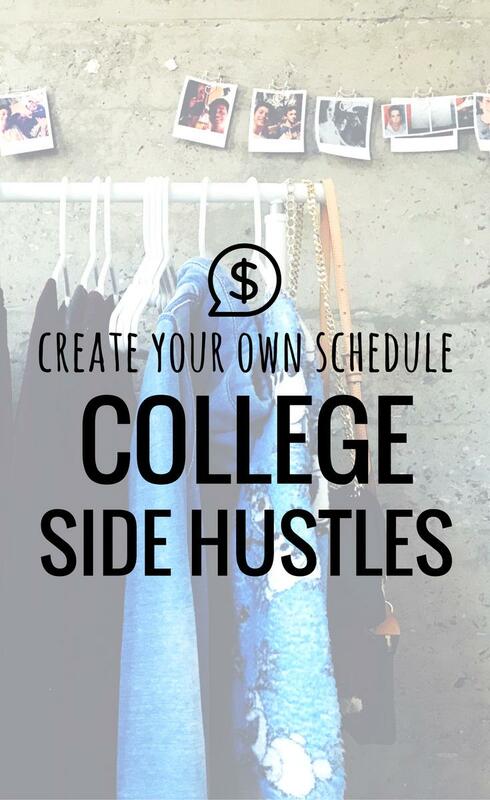 There are are a lot of college side hustles to make a part-time or full-time income. You don’t have to be a crafty Etsy style guru to start your own successful college side hustle (though it’s cool if you are!). 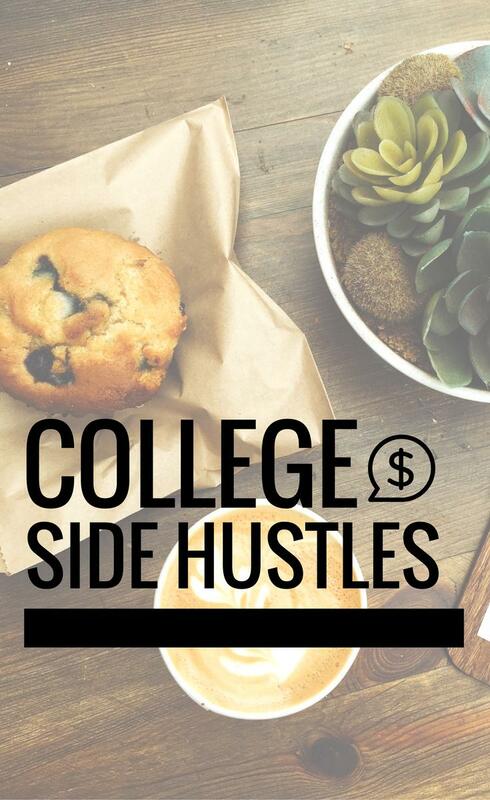 Here are some business ideas and resources to get you started with your very own college side hustle! Start making your own schedule today! Do you prefer the company of four-legged furry friends to actual humans? You might make a great dog walker or dog sitter! What’s great about being a dog walker or sitter nowadays is you don’t have to go door to door advertising your services like the good ol’ days! There are a lot of apps and networks just for this kind of work! You don’t need to be a vet or animal science major to start your own college business as a dog walker! If you’ve ever had a pet (or you just love them!) you’re a good fit! Rover – Rover is the largest network of pet walkers and sitters! You can search jobs locally, and pet owners nearby can contact you directly! Care – While Care is primarily used for childcare, there are a lot of positions for pet sitters and walkers! Pet Sitters International – This service requires pet sitters to get certified, so it’s better for more “professional” dog sitters! If you’re not like me and you actually have more than four outfits in your closet, you might be able to start your own clothing resale business. Sell your high-quality used clothes, or become a professional thrift shopper. A lot of college students have excelled at starting their own clothing resale business through networks like eBay and Poshmark. The trick is being able to recognize quality, fashionable clothes and show them off with killer photography! There are so many success stories from girls making big $$$ with their thrifty fashionista skills like this story and this story. eBay – This classic auctioning website has launched some of the biggest fashionista’s (like Sophia Amoruso)! Poshmark – Poshmark is a super successful reselling app that attracts tons of young women! If you take great photos and have great products, you can go far here! I’ll be the first to admit I’m not great with children. I’ve tried my hand at babysitting and being a camp counselor and I can easily say it is not for me. However, I totally wish it was because it’s an easy way to make good money on a flexible schedule! Starting your own babysitting or nannying business in college is a great way to earn some cash on the side, and you can usually name your own fee! Care – Once again, Care is one of the top platforms for finding babysitting gigs. For best results, fill out your profile completely and include a friendly picture of yourself! SitterCity – This website is essentially a different version of Care.com, it just depends on how many results are available in your area. Indeed – I always find a number of local babysitting jobs on Indeed, so check that out too! I know, I know, being a driver isn’t exactly glamourous. There’s no denying that these jobs bring in money though, and you can set your own schedule which is a major perk. My boyfriend drove for Uber in the past and made major bucks on holiday weekends even if he was just out for a few hours! You need to be at least 21 years old to be a driver, and you should also check the car requirements before applying. Uber – The average Uber driver makes $19 an hour, and if you live in a big city or drive on a major holiday that can go up to $30+ an hour! Lyft – Like Uber, Lyft is a great way to start driving for cash! The benefit of Lyft is that riders can tip in the app, which might convert to more income. Are you the kind of person who can navigate the grocery store like it’s your own house? Do you long for the chance to get paid to browse the produce section? You might be a great personal grocery shopper! Personal shopping and delivery apps have been on the rise lately as people get lazier. While not currently available in all cities, these apps and companies are slowly taking over as demand continues to increase for personal grocery shoppers. The perks of being a shopper include setting your own schedule, earning tips, and becoming intimately acquainted with grocery stores. Shipt – This service is new to my area, but it sounds awesome! Basically, as a shopper, you get sent a list of groceries which you then purchase and deliver to a client. You only have to accept the orders you want, so you can set your own schedule! InstaCart – Like Shipt, Instacart lets you shop on your own time! There are also options available if you don’t have a car! Safeway – Safeway regularly hires personal grocery shoppers around the country. You’ve probably used a food delivery service yourself if you ever have gotten the munchies at midnight. You can start your own food delivery business in your area or work for a pre-existing program if ones available in your car it’s. The hardest part of being a food deliverer is being around fresh food and not being able to eat it! UberEats – UberEats is a new service spreading across the country. As a driver, you can choose the jobs you want and make your own schedule. Basically, you just drive to the restaurant, pick up the food, and drive it to the customer. Postmates – PostMates delivers most anything to users, but mainly it’s used for food delivery. You can make up to $25 an hour as a Postmates driver! GrubHub – GrubHub is the original meal delivery service, and drivers earn competitive pay! Let’s be real. People are lazy. Help them get stuff done by becoming an errand runner! You can start your own errand-running business by setting up your own website or Facebook page, or you can use a preexisting service to find clients. Tasks can range from picking up dry cleaning to assembling IKEA furniture. Being an errand runner is one of the easiest college side hustles! TaskRabit – As a TaskRabbit worker you can choose the tasks that most appeal to your and your schedule! ErrandBuddi – This service is slowly coming to cities around the country, so it might be a good fit. PeerHustle – PeerHustle markets itself more to freelancers and those with higher skill levels, which might mean more money earning potential! You don’t need to go to art school to sell your art or designs! Things like typography prints are super popular right now and would be a hit at a local art fair or market! There are also a lot of online platforms for making money with your designs! Whether you use watercolors or Adobe Illustrator, you can make your art a side hustle! Redbubble – I buy all my stickers, prints, and stationery from Redbubble and independent artists from around the world can sell their designs through this platform! Society6 – Society6 is a popular design selling service that lets you set up your own shop and be discovered by new audiences! Etsy – Etsy is always a popular place to start your own print/design shop! The best part about college side hustles is that you can set your own hours and work around your classes. I wish I knew about more of these while I was in college because I probably would have been a lot less stressed out all of the time! While most of these college side hustles are through an established company or network, feel empowered to start your own side business! It’s as easy as starting your own website and networking for clients! I’ve got a great guide on starting your own blog for as little as $10 so you can launch your own business in no time! What are your favorite college side hustles? Have you tried any of these services?